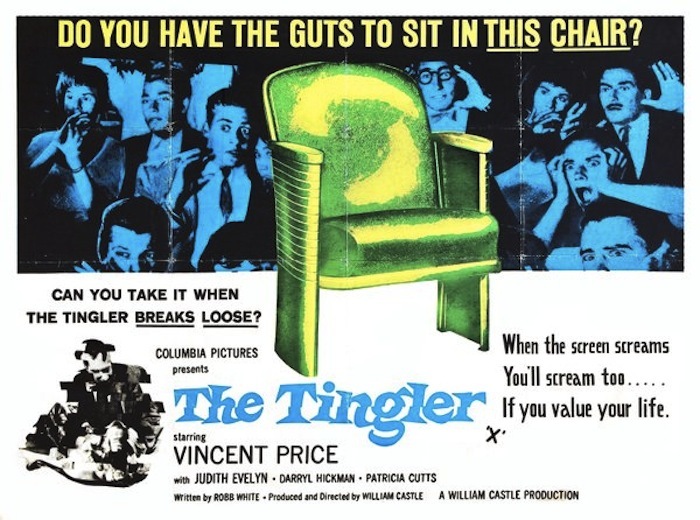 On July 29th 1959 American Producer/Director & Screenwriter William Castle premiered (click on link to read my past post) The Tingler in the US to theater goers. The audience had the underside of their seats rigged with electric buzzers which were activated at the moment Vincent Price cautions them “Ladies and gentlemen, please do not panic. But scream! Scream for your lives! The stunt was named ‘Percepto’ and once the projectionist got his cue to let the current rip, people in the audience got a mild jolt to their tuchus and their money’s worth of chills and thrills! 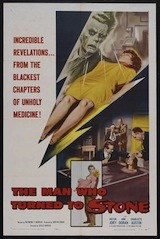 The urbane Vincent Price plays Dr. Warren Chapin a man driven by a curiosity to find out the source of the mysteriously evil force that creates the SENSATION of fear. 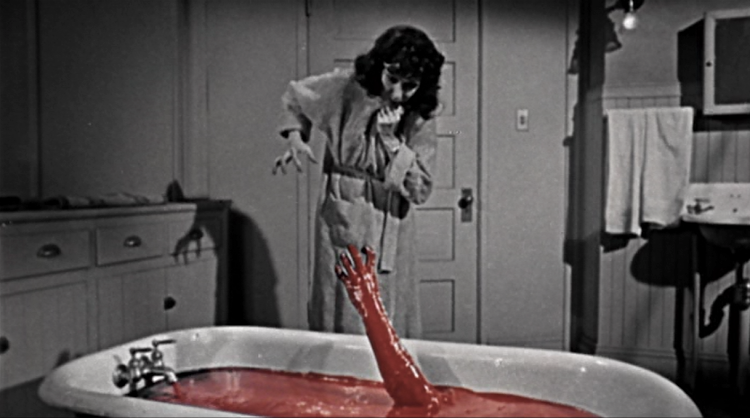 He discovers an organism called… The Tingler which manifests itself at the base of the spine when one is experiencing abject fear. 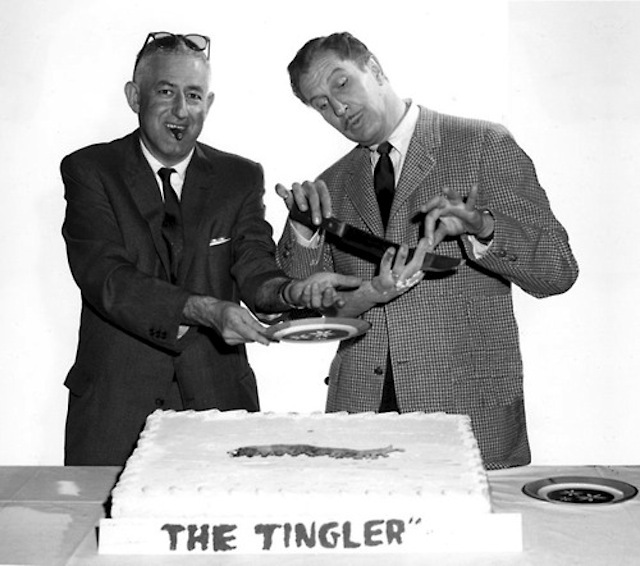 The Tingler can only be subdued by the act of screaming. Growing up in the 60s and 70s my childhood was filled with the sort of wonderful attractiveness William Castle’s shenanigans fostered in my yearning imagination. His films wouldn’t really be considered frightening by anyone’s standards today, but if you were a kid watching television on a rainy Saturday afternoon way back when, and suddenly you were thrust into a world where wearing whacky goggles would allow you to see wild ghosts wreaking havoc in an old eerie mansion in 13 Ghosts, or a disembodied hand rising up from a bath of brilliant red blood in an otherwise black and white landscape in The Tingler, or that moment when Nora Manning sees Mrs.Slydes the blind housekeeper who glides past her, a crone like harbinger of death, or those jaunty little party favors in the shape of coffins containing guns for the guests in House on Haunted Hill, with the added sensational musical scores and atmospherics you’d know the thrill and nostalgic glow that washes over you because William Castle made himself a presence quite like Hitchcock who was invested in bringing us into their world of fear and getting us excited about it! 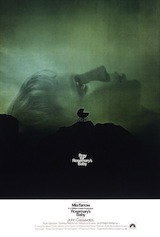 Keep in mind, he produced my favorite film of all time, which I’ve been planning to do a major feature on down the road. 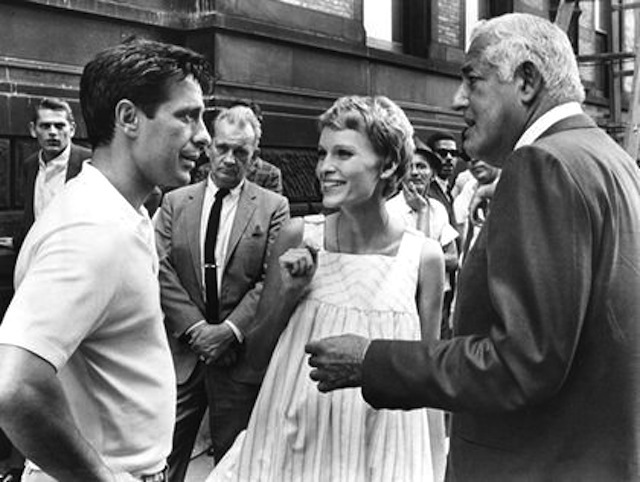 The transcendent mind blowing tribute to paranoia and motherhood, Rosemary’s Baby 1968, thank god he decided to let Polanski direct, but still he was the man behind the masterpiece. 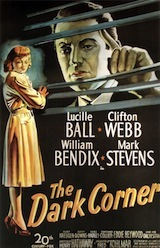 And Castle didn’t just do scary campy joyrides, if you look at his filmography you’ll see an array of film noir & mysteries like Hollywood Story (1951),The Fat Man (1951) Undertow (1949) series’ like The Crime Doctor & The Whistler, adventures like Serpent of the Nile (1953), with Rhonda Fleming. 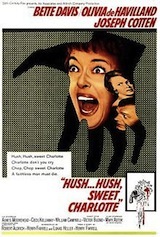 Westerns, television series and screwball comedies too like The Busy Body (1967) starring Sid Caesar, Robert Ryan and Ann Baxter , so if you’re a scaredy cat no worries there’s plenty to cover for everybody! 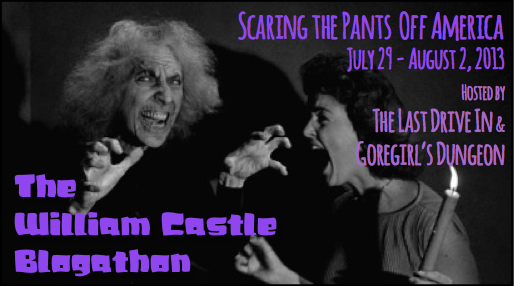 William Castle is one of THE most recognizable showman of film camp, purveyor of cheap chills, the maestro of gimmickry! In a time when the censors were becoming more lax and psycho-sexual themes were infiltrating the cinematic frontier, the trumpets were hailing Castle to step right up and create his own uniquely tacky ballyhoo! Sometimes kitschy, at times quite jolting and paralyzing, so many of us were marvelously effected by the collective tawdry Schadenfreude. 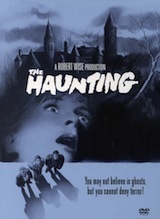 And so I got to thinking– geez it’ll be the 54th anniversary of that Spine-Tingling fun house ride of B-Movie schlockery and what better way to tribute the P.T. 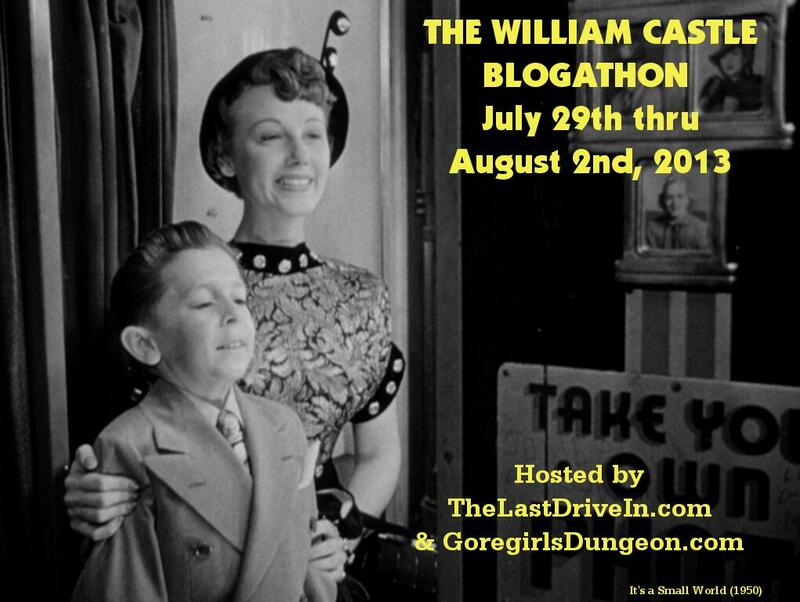 Barnum of Classic B-Movie fanfare than to co-host a blogathon with the witty and well versed Terri McSorley of Goregirl’s Dungeon. 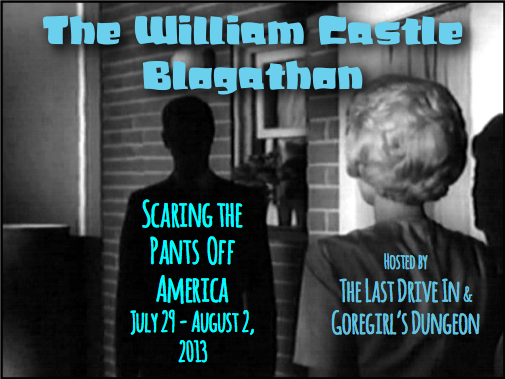 I was going to wait and announce the blogathon officially on May 31st which will be the anniversary of Castle’s death in 1977, but we all seem so excited about this, I thought I better get on it and post the details and start the Tingler climbing up our proverbial collective spines! And what a great bunch contributing too! 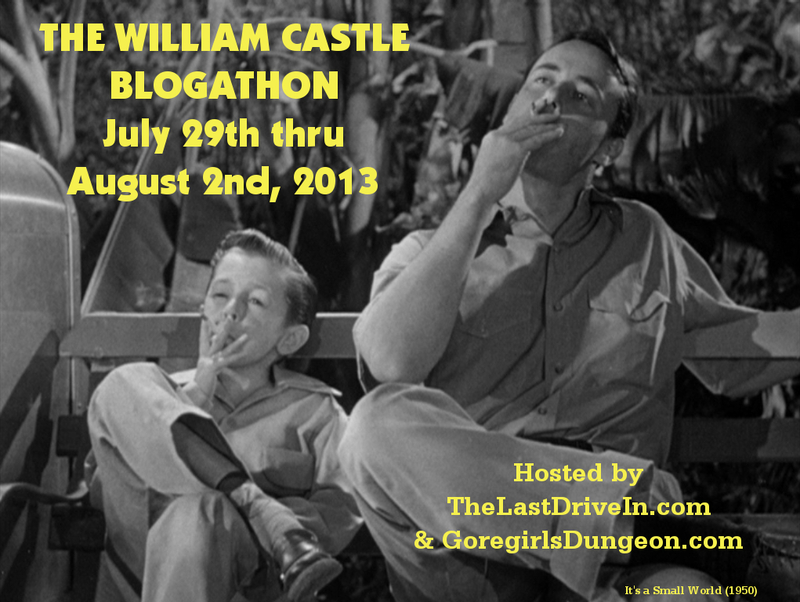 The William Castle Blogathon runs from July 29th through August 2nd, 2013 and is Co-hosted by Joey (MonsterGirl) of The Last Drive In and Terri of Goregirl’s Dungeon. The list of films and contributors are below: We’ll narrow down the dates each person will publish their post a little further down the road. I don’t want to be too restrictive about films being covered twice as everyone has their own unique perspective. 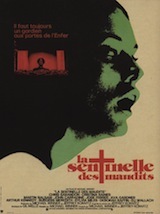 There’s still a bunch of films not chosen yet so please consider widening the scope of our celebration by tackling a lesser known film of Bills! All are welcome, if you’re interesting in joining the ride, please contact me! 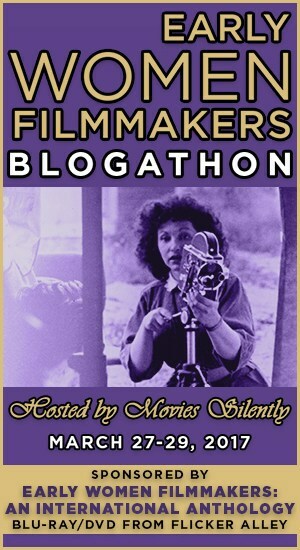 Please grab any banners for the blogathon and use them on your site if you’d like! (The Metzinger Sisters) Silver Scenes “Busy Bodies: Promoting Castle’s Camp” & The Films of William Castle! And a special thanks to David Arrate at My Kind of Story for these banners! Hey there! It looks fantastic! I will let you know whether I decide on The Crime Doctor or The Whistler. Great participation so far! Thanks for setting this up! Joey, it’s practically gonna be one of the Blogathons to end all Blogathons! 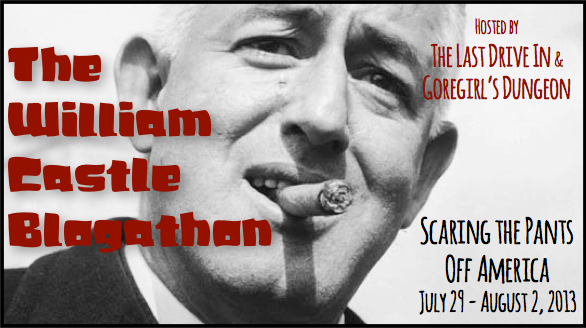 :-) We’re all excited for your William Castle Blogathon, and it’s not just because Vinnie and I will be joining the fun with THE SPIRIT IS WILLING and ZOTZ!, not to mention The Crime Doctor, one of my favorites, and ROSEMARY’S BABY, and so much more! 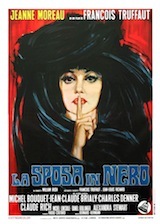 :-) Hats off to you and Terrii for this inspired Blogathon! Aw shucks, if it wasn’t for the fabulous bloggers such as yourself and the incredible circle of writers I wouldn’t have been so inspired to try and tread water in the big ocean of blogathons. You all gave me to courage and push to just dive in and thrash around… Thanks for always give me support. We can’t wait to read everyone’s submission, in particular yours and your hubby’s. 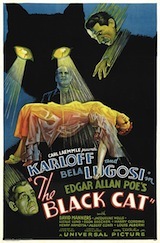 Hey, Joey, I think I need one more thing if I’m going to post one of your fab ads for the William Castle Blogathon: a “static page” where all of us Blogathoners can include links to our posts, like the one Ruth and I did for the Mary Astor Blogathon. If you need help with that, I suggest hubby Vinnie’s help, if only because he’s the one who helped me out with the Mary-thon! :-) Please let us know, beaucoup thanks, my friend! Joey, aren’t we lucky that we both have smart and loving techies around the house to help us make our blogs so smart and snappy, bless their hearts? And don’t you worry about that “large pond” — you’ll get your water wings before you know it! :-D We have faith in you, girl! Joey, this is going to be fantastic. Really looking forward to it! Thanks kiddoe, I agree… it looks like it’s going to be a Tingler! Hi! 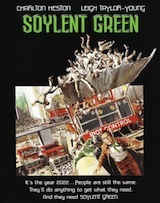 I(‘d like to be part of the blogathon. 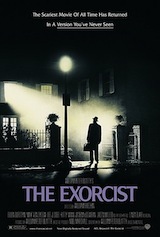 I’ll watch both The Night Walker and Texas, Brooklyn and Heaven, but I’m thinking about writing about the later, since nobody has chosen this one. I’m Le from the blog Critica Retro, a Portuguese blog easily translatable by the Google Translator in the sidebar. Hello again- Do you have a date you’d like to post your piece on Texas, Brooklyn and Heaven for the Bill Castle Blogathon- Let me know so I can put it on the list- Can’t wait to see you there soon! Hot Diggity! 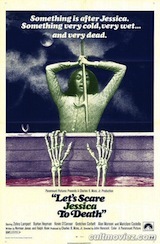 This sounds fantastic..I was hoping there’d be sometime of really juicy horror themed blogathon going on this summer. Looking forward to reading all the entries ( wouldn’t mind submitting one meself! ). 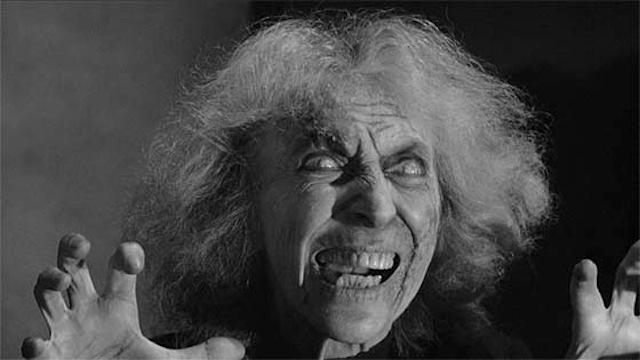 I love that pic you posted of the old hag from House on Haunted Hill. She’s the best! Hello. Although you wished that I turned blue over at Once Upon a Screen…don’t forget I am participating in this one. We had a back-n-forth last week and I settled on…..um….OH! 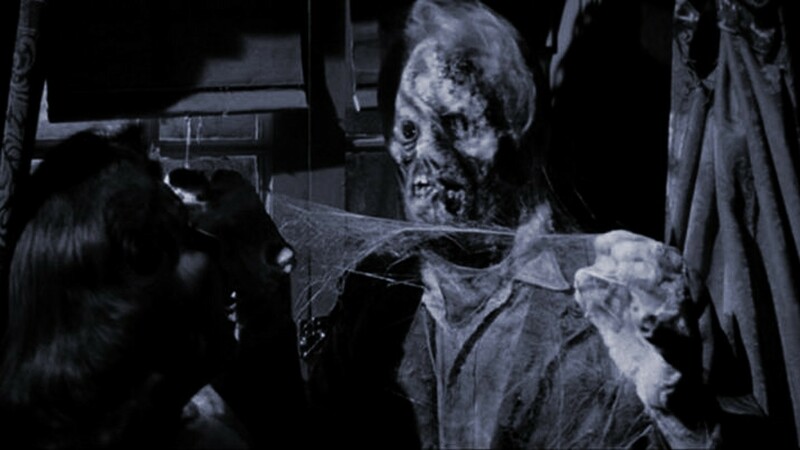 THE NIGHT WALKER (1964). :-D You’re the bomb, Joey! Even when you’re evil! 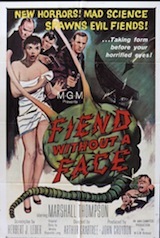 Aw, I’m not really evil, I’m quite ‘pleasant and nice’, like Aunt Bee’s kerosene cucumbers! OOPS! Holding my breath affects my eyesight apparently. I now see I am already listed. JUST TESTING YOU! I’d love to take “Slaves of Babylon” (1953) and “The Saracen Blade” (1954). 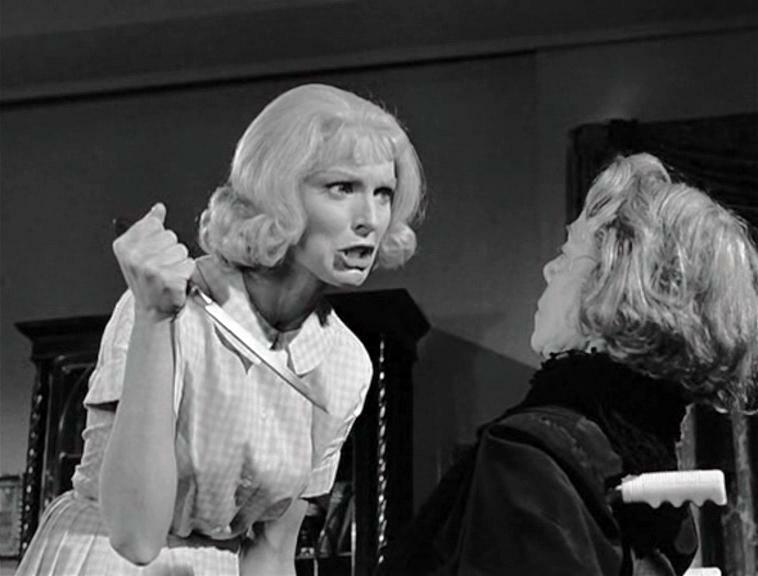 I’d like to do Let’s Kill Uncle (1966) – thanks! I heard about the ‘thon from Ivan at Thrilling Days of Yesteryear and had to participate. Thanks for having me! Excellent!!! So very happy to have you along kiddoe!!! Joey, I’ve been absent a bit. I would love to do an article about Spine Tingler! The documentary on Castle. 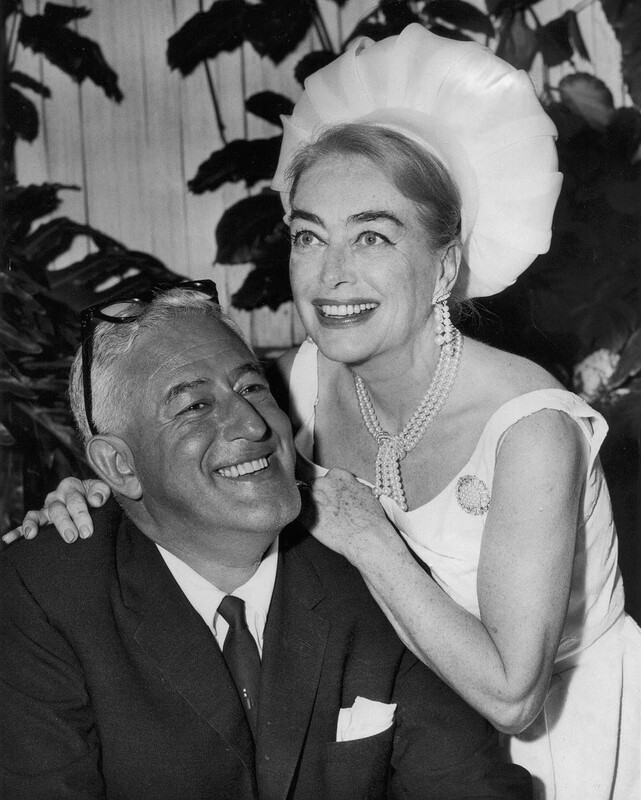 Also, I’m friends with William Castle on Facebook. 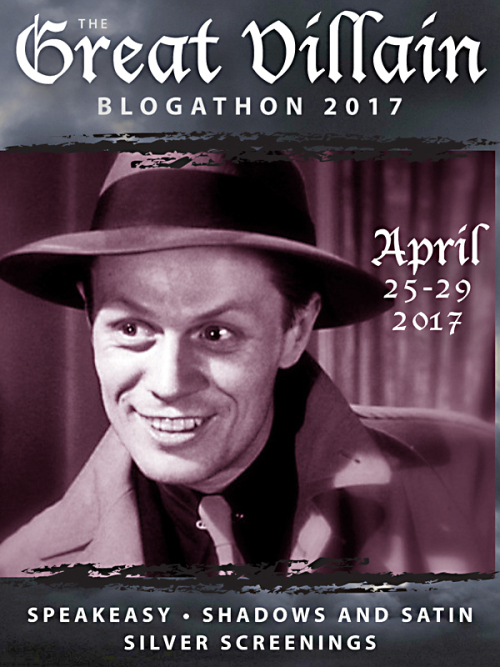 Can I share your blogathon there? His daughter and grandson love to know he is remembered! Hi Tracy! We’d love to have you along for the ride-Journey’s in Classic Film is actually covering Spine Tingler but I’d love it if you’d contribute in some way to the Castle bash. Here’s a list of what’s being featured. I can’t wait for this. 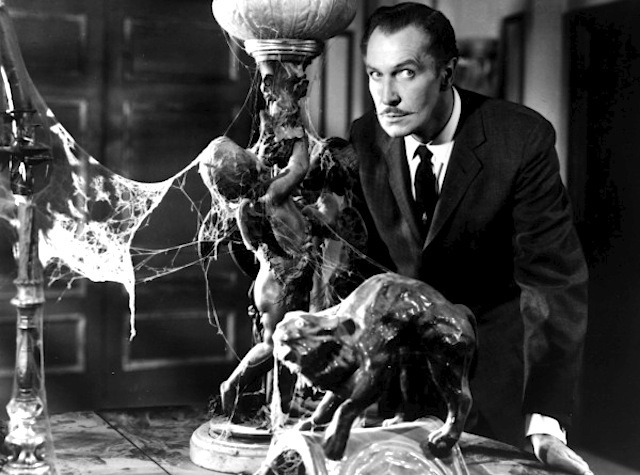 I love William Castle. Love. Love. Love.